ROAD TOWN, Tortola, VI- Seven persons appeared before Magistrate's Court last Friday, September 22, 2017 charged with burglarising at BVI Communications in Port Purcell after they were caught attempting to loot the premises. 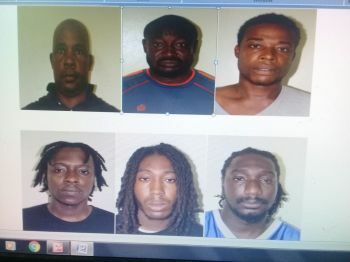 According to the Royal Virgin Islands Police Force (RVIPF), James Watson, 57; Montgomery Butler, 50; Dwayne Peter's, 34; and a minor plead not guilty and were granted bail for their reappearance in October. Kevin Stevens, 22; Mekell Delpleshe, 22; and Triston Richardson, 24 plead guilty and were sentence to 300 hours of community service or $3,000. Of the 7, 5 have already begun their community service. The Royal Virgin Islands Police Force (RVIPF) has arrested seven persons for looting following Hurricane Irma. Many places of business, especially in Road Town, were looted the day after Hurricane Irma ravished the Virgin Islands on September 6, 2017. Many looters went for food supplies, medicine and clothing, however, some grabbed alcoholic beverages, cosmetics, fashion shoes, jewellery and electronics. 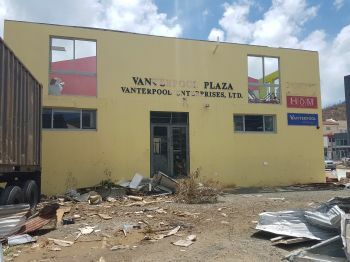 Police Commissioner Michael Matthews had pleaded with the public for information on the offendors, including by providing photos and videos of looters in the act. Mr Matthews has since announced that 7 persons have been arrested and the RVIPF is seeking to arrest others. Those charged, according to Mr Matthews, include a Jamaican, Vincentians and BVIslanders. Just wait, a few of the officers were stealing also. Pictures don't lie. The thiefs took advantage of what was going on during and after the storm. if guilty, incarcerate , then deport. Afterwards deport! Interesting to see the nationalities of those arrested. A thief remains a thief no matter what nationality. Please when charged post their names and photos. Call me old fashioned, but a bit of public humiliation goes far to detract others from crime. Wall of shame. They will have their day in court. Thanks VINO for posting their pictures. I dont recall this being done before. Looting in a disaster such as we expierienced is the lowest of the low. I can understand taking water or food to survive if there were no other choice, but taking allegedly appliances when there is not even electricity is beyond the pale. The lights went out and the roaches came out of their hiding places. If these people are convicted, they need some good time in St. Lucia. In times like these, the best in people could be displayed, or their worse. These accused men apparently showed their worse, and thats a testament to their characters. Shame on them. What about them crooks who looted the treasury? We need to make a public page on social media where people can post the pictures they have of the looters. 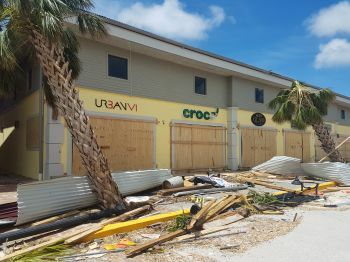 As if the bvi wasn't hit hard enough by the storm these lowlifes decided to steal from us too? Let's name and shame them all! I know any of our staff identified as looters will be fired immediately. We don't need those people here. But in there been empty, Lol and open for weeks, Oh well how unfortunate and I hope they bash those officers who was looting too. These scumbags need some proper public exposure and some real chain gang time. Then, train the Belongers to do something useful. Deport the foreigners to some fanfare about how we are purging our country of them. It is so sad to hear people down there stealing and taken advantage of each other. The company I work for set up a donation drive this past weekend and we collected so many things that is needed back home.